Like humans, dogs may occasionally want a snack between meals. Treats are a great way to keep your pets motivated to stay on their best behavior. However, there are several things you need to keep in mind when purchasing dog treats. These treats should be low-calorie and manufactured using high quality ingredients that will not cause your pets to gain weight. With advancements in the dog food market, you can select from a variety of healthy dog food treats. This is a great alternative to making healthy dog food treats at home. 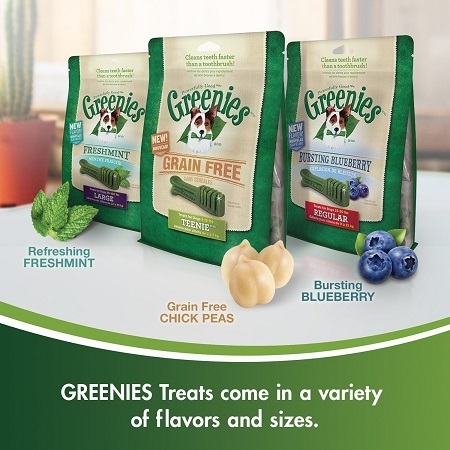 Over the years, GREENIES have established a reputable name in the industry and are regarded as one of the healthiest dog treats in the market. Not only are GREENIES manufactured using high quality materials but they are also safe and easy for canines to digest. A Clean Mouth - Poor oral hygiene can lead to detrimental health effects for your dog. Fortunately, these treats provide gentle and deep cleaning, promoting exceptional oral health benefits for your dog. These treats are made using soluble ingredients, which make them easy to digest for your dog. 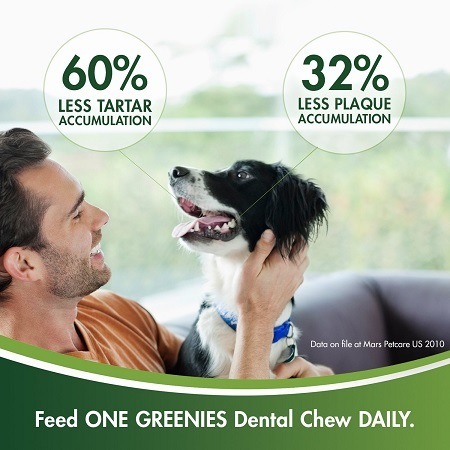 Recommended by Veterinarians - GREENIES Original Dental Dog Treats are among the healthiest dog treats in the market and are recommended by veterinarians for optimal home oral care. A Happy and Healthy Pet - Dogs are lovable creatures and make a wonderful addition to your life. Apart from offering numerous health benefits, these treats are chewy and filled with flavors, making them irresistible for your pet. Now, you don’t have to worry about adding empty calories to your dogs diet and can make GREENIES are regular part of your dog’s daily regime. Subscribe and Save - Subscribe today and have GREENIES conveniently delivered to your doorstep on a regular basis. Not only will you be able to save money but will also never run out of your dog’s favorite treats. Variety of Choices - GREENIES are available in multiple sizes so customers can conveniently select an option that is best for their furry pals. You can choose from a regular, large, petite or teenie size, depending on your pet’s breed, size and age. Low-Fat - Worried about adding extra calories to your dog’s diet? Well, rest assured GREENIES Original Dental Dog Treats feature a low-fat formula and contain a variety of added vitamins and minerals. This will prevent your dog from gaining excess weight and will keep them at their best. GREENIES Original Dental Dog Treats received an average rating of 4.7 stars out of 5 on Amazon at the time of this review. This proves a majority of customers are pleased with the product and left positive reviews. A customer wrote they have been using the product for a couple of months now and have never had any problems with it. Supervise your pet while giving them any kind of treats, especially if they are greedy chewers and are likely to swallow the treat in one go. A customer wrote their dogs (German shepherd, medium sized hound and Dobermans) are all fans of this healthy treat. On the downside, a customer received an expired package of GREENIES that contained little worms. The customer had to throw away the entire package since there was an obvious infestation. It is thus advised that you carefully inspect the package before feeding the treats to your dogs. Quite a few customers received packages with white worms inside. Always empty the contents of the box and inspect for worm infestation or contamination. Apart from the quality concern, a few customers wrote their dog did not enjoy the treats. One customer also wrote that their dog’s heartbeat was much higher than normal and that their body temperature seemed elevated that day. To reduce the risk of adverse reactions, it is best you sample the product first prior to feeding it to your dog. 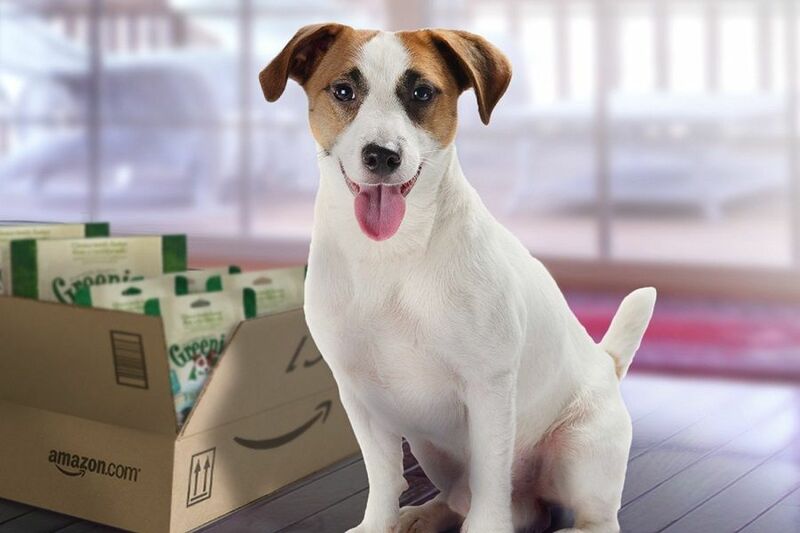 This will reduce the chances of your dog getting ill.
GREENIES Original Dental Dog Treats can be purchased on Amazon for just under $30 with free shipping on Amazon Prime. To save a few bucks, consider looking for promotional offers, deals and discounts. Customers can also apply a $2.00 coupon on Amazon and save money by subscribing to the product. Visit the GREENIES official website if you want to benefit from additional deals and discounts. The website is loaded with tons of information and offers feeding guidelines. You can also purchase GREENIES Original Dental Dog Treats from eBay, Petco and other leading online stores. Customers can avail a 40% discount on DrsFosterSmith. Pet owners can also opt for a special weight management or grain-free formula if they are concerned about the well-being of their pets. Additionally, GREENIES Original Dental Dog Treats is reasonably priced when compared to other healthy dog treats in the market. If you are on a tight budget, consider making dog treats at home. 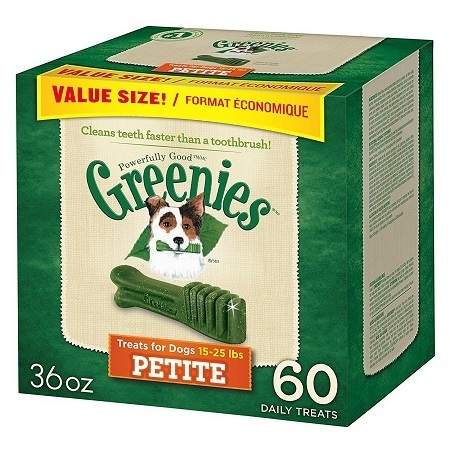 Overall, GREENIES Original Dental Dog Treats is among the healthiest dog treat options out there. According to the brand, feeding your dog a single treat everyday can result in 32% less plaque accumulation and 60% less tartar accumulation. However, be sure to purchase the product from a reputable vendor since quality is a major concern. Always inspect the expiry date of the product and empty its content before feeding it to your dog. For more information, consider visiting the GREENIES official website. Their representatives will inform you of their quality control measures.